« Retiree health: bigger budget bite than pensions? Following the city charter, a reluctant San Bernardino city council last week approved a police pay raise costing about $1 million, the second $1 million police salary increase since the city filed for bankruptcy last year. The four council members who voted for the 3 percent pay hike all criticized a city charter provision linking San Bernardino to the average police pay in 10 other cities, most much wealthier with higher per-capita income. When a pay hike was approved last March, the city attorney, James Penman, and a councilman, Robert Jenkins, argued competitive pay attracts quality officers to combat a high crime rate. Penman was recalled last month, and Jenkins was not re-elected. Several groups pushed to repeal the charter provision after the bankruptcy. But the city council chose not to put a repeal measure on the ballot last month, citing short timelines and ballot costs, the San Bernardino Sun reported. After Vallejo filed for bankruptcy in May 2008, a split vote of the city council (called “insane” by a council member elected later) gave police a 7 percent raise that took effect in July 2010, more than a year before the city exited bankruptcy. Now Vallejo has a $5.2 million general fund deficit projected to grow to $8.9 million next year. Critics say Vallejo failed to make structural budget changes needed for long-term solvency, such as curbing pension and retiree health care costs. 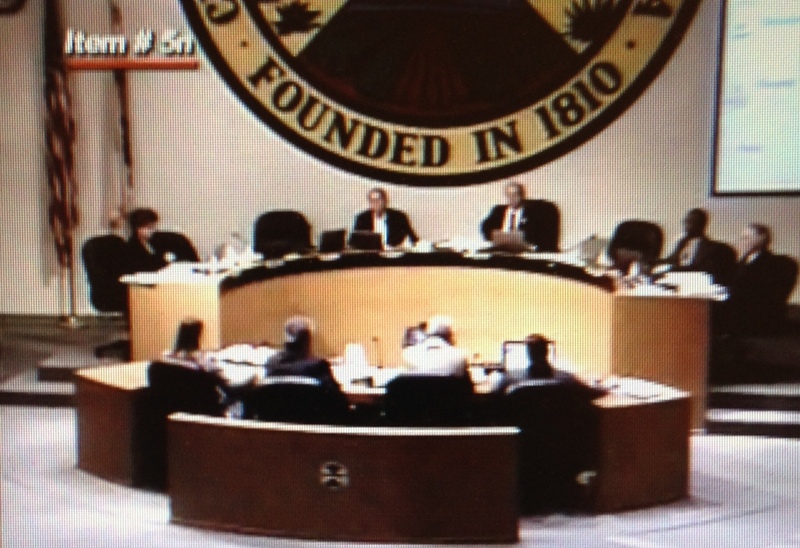 San Bernardino cut short-term pension costs. In danger of not making payroll, the city filed an emergency bankruptcy on August 1 last year, then took the unprecedented step of halting payments to the California Public Employees Retirement System. Before resuming payments in July, CalPERS said the city ran up a debt of about $17 million. The big pension system, fearing other struggling cities may skip payments, is appealing a ruling that San Bernardino qualifies for bankruptcy. U.S. Bankruptcy Judge Meredith Jury directed San Bernardino to prepare an outline or “term sheet” of its debt-cutting proposal for mediation with creditors conducted by retired U.S. Bankruptcy Judge Greg Zive of Reno. Mayor Patrick Morris told the city council last week that the first two-day mediation session was held the previous week in Reno. He said the next session is scheduled for January, followed by another in February. “I think it’s fair to say progress is being made, and that’s about all we can say,” said Morris. He said the judge has placed a “gag order” on the city’s debt-cutting proposal and the mediation. San Bernardino may or may not have a stronger hand in negotiations after U.S. Bankruptcy Judge Steven Rhodes said last week that Detroit pensions can be cut in bankruptcy, the first clear ruling of its kind. Morris told the Riverside Press-Enterprise the Detroit ruling is another “arrow in the quiver of cities who are in desperate circumstances,” such as San Bernardino. He said the city’s intent is to be fair to retirees and respect pensions as best it can. CalPERS contended the Detroit ruling on a city-run retirement system does not apply to CalPERS, because it’s an “arm of the state” carrying out state policy in a “three-way relationship” with local governments and their employees. The CalPERS position, a state agency waging an all-out legal battle against San Bernardino, is echoed by the state finance department and state controller. They are suing to withhold $15 million in tax revenue from the bankrupt city in a separate dispute. A report issued by the Pew Charitable Trusts in July, “The State Role in Local Government Financial Distress,” said a number of state do not share the California tradition of not helping local government fix broken finances. Some states do not allow municipal bankruptcies. Some such as Michigan appoint emergency managers (despite a rejection of emergency managers by voters) to make the tough decisions. And some monitor local governments to prevent financial failures. “North Carolina, despite high unemployment, has managed to escape serious local government budget problems in part because of its strong centralized system of monitoring and oversight,” said the Pew report. California created an “elaborate fiscal oversight system” for school districts, said the report, because the state provides much of school funding. The state can appoint an administrator for daily school district operations and issue emergency loans. State aid helped a Rhode Island city with 19,0000 residents, Central Falls, emerge from bankruptcy last fall in record time, 13 months. Retirees agreed to pension cuts of up to 55 percent, with no one getting less than $10,000. The pension cut was softened by a five-year supplement from the state. The city’s bondholders got reassurance from the state, which passed legislation giving them the right to place liens on tax revenue. In California, a bankrupt San Bernardino not only battles state agencies, but part of its financial problem is the “affordability” of high pension costs resulting from a trendsetting CalPERS-sponsored state pension increase, SB 400 in 1999. Vallejo officials said they considered an attempt to cut pensions in bankruptcy, but chose not to try after a deep-pocketed state agency, CalPERS, threatened a long and costly legal battle. This entry was posted on December 9, 2013 at 8:11 am and is filed under Bankruptcy, San Bernardino, Stockton. You can follow any responses to this entry through the RSS 2.0 feed. You can skip to the end and leave a response. Pinging is currently not allowed. “CalPERS contended the Detroit ruling on a city-run retirement system does not apply to CalPERS, because it’s an “arm of the state” carrying out state policy in a “three-way relationship” with local governments and their employees. What a bunch of BULL. Calpers is now rolling out their back-up plan to their previous position: Pensions are protected by the State Constitution. The CalPERS M.O., which comes from their corrupt, union dominated Board of Administration, is to Deny-DENY-DENY and then LIE-LIE-LIE. They were instrumental creating the pension problems of today – SB 400, undercharging members for airtime, the 15 year smoothing policy, a full menu of enhanced benefits, retroactive benefits (even though it’s illegal), pay-to-play scandals – they just can’t bring themselves to admit that they are a LARGE part of the problem. CalPERS – the State? This organization is run for the unions by the unions. This most likely was recommended by CalPERS. Isn’t “realizing value of 1.3 million per year” really just a reduced payment with grossly extended payment terms, and much greater total cost? Talk about kicking the can down the road – for thirty years. I would consider this an irresponsible action for a city in bankruptcy. S.B. needs to end the practice of determining wage increases using salary surveys, as does every other city. There seems to be a common thread running through cities who have been, or are in bankruptcy, and through cities where there has been rampant corruption: They are all Charter Cities. Perhaps that is where reform is needed. Yes, Captain, it is illegal to make enhanced pension formulas retroactive. That is due to the fact that it is part of the State’s Public Pension Reform Act of 2013. It was not illegal prior to 2013, because it was legislative policy for almost 100 years. And (the RETROACTIVE increases) not SPECIFICALLY being illegal made it right, appropriate, ethical, reasonable, or fair to taxpayers ? You can’t get blood from a turnip. SeeSaw, maybe you can respond? But that’s exactly what happened. CalPERS pushed for the retroactive benefits which were illegal – and now they’re forcing taxpayers to pay billions of dollars in retroactive giveaways. The only reason the retroactive benefits were possible is because they were approved by CalPERS. Vallejo’s cost for public safety pensions benefits, prior to SB400 and according to CalPERS, was about 12% of payroll. Post SB400 the 3@50 pension plan cost Vallejo about 16% of payroll (the taxpayer portion). 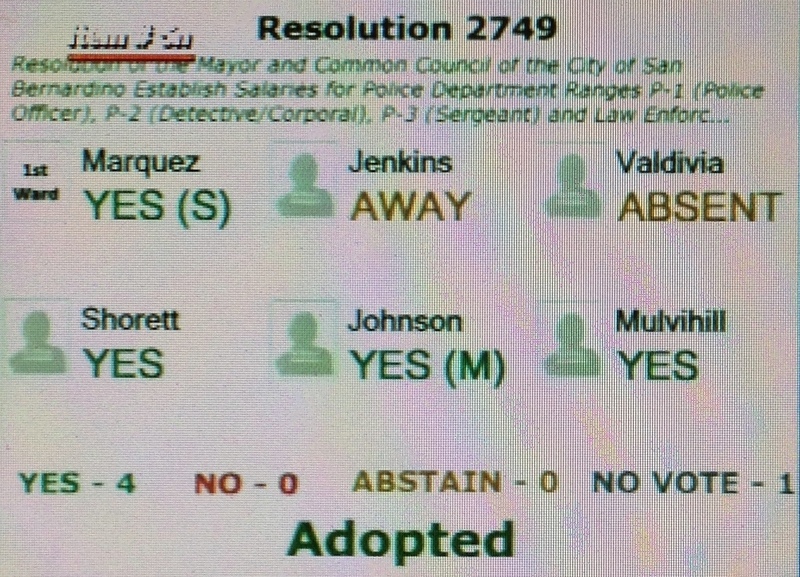 Because the benefit was made retroactive it cost Vallejo/taxpayers about 27% of payroll. In the current fiscal year Vallejo is paying about 47.4 of payroll toward pension benefits. Next year (FY 2014/15 beginning July1) Vallejo will be paying 52% of payroll toward pension benefits. In other words, for every 100k of payroll Vallejo sends 52K to CalPERS to cover the pension cost. Because the average safety employee earns about 120K in pensionable salary, Vallejo/taxpayers will contribute, on average, $62,400 dollars on behalf of each employee. What will the cost be when the CalPERS rate increases of as much as 50% enter the calculation? I’m pretty sure both S.B. and Stockton have similar issues (if the Pension Obligation Bond debt is included). This just reinforces one concept lost on so many; get involved in your city, county, water district, country! This is your country and you have a right to hold your local and national politicians and employees accountable. Ask yourself when was the last time you went to a city council meeting? When was the last time you went to a water board meeting? When was the last time you voted in an election? If you don’t get involved you might as well accept a dictator or communist nanny-state government. Look at the El Dorado Water District. It is a mess because good people stood by and stayed home. Look at the City of Bell. They paid themselves huge sums of money because nobody paid attention. Look at the City of Vernon, no different. So when you look at your city and wonder why you have 50,000 people but the city manager is being paid a salary equivalent to the city manager of San Francisco or Los Angeles, look in the mirror and thank yourself for not paying attention, for not getting involved in your government. Then, come here and whine and complain about how outrageous it is. Toughlove, it is ethical, reasonable and fair if you stay home and leave it to someone else. Captain, Gray Davis signed the laws that were passed by legislature–SB400 in 1999 that allowed public safety agencies to adopt the 3% at 50 formula. It was up to each respective agency to adopt it or not. Another Bill in 2001 (I can’t remember the number) allowed public agencies to also offer increased formulas to their miscellaneous employees. Some offered the increases–some didn’t. To my knowledge, the adoption of the 3% at 60 formula was not offered widespread for miscellaneous workers–I don’t believe that it was ever offered to the state employees. Prior to the economic collapse of 2008, many agencies realized that they had bitten off more than they could chew and they started to reform their own pension plans. My municipal employer, through the collective bargaining process, reformed its safety formula, first, in 2005 and its miscellaneous formula twice since that–it is now back to the 2% at 60 formula for new hires and many employees have been laid off–there had always been contracting out to park and median maintenance for several years and building maintenance was contracted out two years ago. Now, of course, there were more reforms with the recent state pension reform law. As for an explanation of the legality of retroactive formula enhancements–then AG Brown explained it in the Amicus Brief that he filed with the Court, on behalf of CalPERS, in the case of Orange County vs. the Orange County Deputy Sheriffs’ Assoc. If I can find a portion to quote I will provide it. In the meantime, Shelby, what is “fair” does not come into all things; what is legal is the only thing that comes into the pension subject. Of course you can’t get blood out of a turnip, but that doesn’t turn something that is legal into something that is not fair. Who is to say any of this is not fair, except those of your ilk who are a little jealous–eh? I did my work, and earned whatever I get. I did not count on having to put out 40% of my pension take- home pay for medical insurance premiums–how “fair” would you consider that? Billie, While I do vote.there are problematic “issues” with being a standout in your town calling for (say) reductions in police, teacher, or DPW pensions….like (a) getting motor vehicle summonses for minor infractions that no one else would get, (b) having your garbage not piked up because your garbage can is 33 gallons vs the legal limit of 30, whilst everyone else’s is no smaller than yours, and (c) all of a sudden your children are getting C’s instead of A’s and the guidance counselor never seems to be available to write that college recommendation. Subtle, but effective… and carefully hard-tp-prove to get the offenders in trouble. If it were a grade school, it would be called “bullying” and the bully would be send to detention, but when done by Public Sector workers in response to a challenge to their compensation, they call it “strategic planning” and get high-fived by their associates. But not-to-worry, us Taxpayers will get even in the end-game by reneging on a major portion of the grossly excessive pensions & benefits promised ALL Public Sector workers. REALITY and MATH always wins. Captain, the document to which I referred is 30 pages. I made a copy for my own personal reference and cannot forward it. It was filed by the AG on behalf of CalPERS in the case of County of Orange v. Association of Orange County Deputy Sheriffs, et al in June, 2010, The Case No. is B218660. It was Los Angeles Superior Court. The Brief is chock full of explanation and cites multiple examples of case law outlining the legality of retroactive benefits. The AG concluded that section with a statement saying that the adoption of pension enhancements, retroactively, had been a part of Legislative procedure in California for 97 years. TL, I am a taxpayer too as I have to remind you all the time. Whatever happens to you happens to your public sector neighbors. Whatever happens to my neighbors happens to me too. Fortunately, my personal share of taxes to pay pensions is so minimal that there is no line item for such on my property tax and state income tax bills. My state sales tax went up by a fourth of one percent last year and I haven’t even noticed it. Maybe you should talk to your own officials in New Jersey and let us take care of our own selves here in CA. Captain, those 50% rate increases are projected to be over a period of seven years. Payments to CalPERS are a percentage of payroll. Each individual public entity knows what it’s going to cost them when they hire workers, so they are in charge of their own destinies. The cities that are in Bankruptcy are not there because of the sole reason of the cost of their respective pension plans. Those cities are in BK because of one thing and only one thig– mismanagement. There are many examples in the case of each of the sevral cities—–I think alot of this pension thing is a sick kind of envy— It is VERY American. Bille, I apologize for my previous comment. I actually agree with most of what you said. My frustration came from your comment that people on this board aren’t doing anything except whining. That isn’t true. I’m not leaving anything to anyone else. I go to council meetings and I try to educate others, including SeeSaw. I agree with Mr Towner— These cities merely mismanaged—alot of things! Blaming very much on just pensions is the same foolishness that guided these cities to their horrible status—-fiscal over site requires more than slogans and politics. Since when does flimsy case law superceed our State Constitutuion, or common sense? I’m not surprised by our AG’s decision given the control the unions have over politicians; elected or appointed. Sounds to me like the AG’s opinion was nothing more than payback for the unions political and financial support. Attorney General Harris is no different. Captain – Your Cyber bullying tantrum aside, I will again inform you of your obvious mistakes and errors you seem determined to make public. 1) Vallejo cut pay 30% to workers it kept, while slashing 60% of it’s payroll. So, to compare payroll before and after it was cut to a fixed cost and point out that it is a HUGE increase is erroneous. You have payroll = $1.00 and $0.10 goes to pension cost. You cut payroll to $0.6 and $0.10 goes to pension cost (because it is not prepaid) your cost of pension to payroll goes from 10% to 17%. You see, even though they have cut payroll, they still owe money on the pensions they contracted for. That hasn’t changed. What has changed is the size of payroll. Here is a Reuters article about it to help you understand. “When it exited bankruptcy at the beginning of 2011, the payments to Calpers were just over $11 million, or 14 percent of the fund. The latest budget pegs those payments at $15 million, or 18 percent of the general fund.” Remember, the general fund is less than it used to be just like the payroll is smaller. Here are more articles about cutting jobs and pay er’ payroll in Vallejo. In 2008 the General Fund was $87 million, in 2011 it was $67, in 2012 it was $63 million. So a decrease of 26% since the naval shipyard contract disappeared. 2) SB 400 did allow for retro-active pension increases. However, those benefit increases had to be requested and purchased by the employee. So, if an employee wanted to convert service to the better formula, it could be purchased. It was an “option” and not mandatory. It also had to be paid for by the employee. I hope this helps your understanding and try to control your temper. You are not representing your view or the views of Ed, Dan, Marcia and Mike very well. You in fact undermine them when you engage in bullying and name calling. Bille, you don’t have a clue regarding Vallejo. You can cut and paste all you like but it doesn’t make you right. Your comments aren’t worth the screen they were written on, to the point they are almost not worth responding to. But I’ll respond when I have time. For starters, not one of your comments concerning Vallejo are accurate. Captain, Hope you noticed how he’s milking your little mis-step (calling him an idiot) for all it’s worth. Now that’s not right either now …. is it Billie? TL, based on his last comments, it wasn’t really a mis-step. I tried. You need educating too, Captain. You ask me since when does case law supersede our Constitution? Well, case law is what judges go by when they consider decisions, and such case law is usually determined study of the Constitution. I am no more an official authority on any of this than you are. I’m simply trying to refer you to information where you can find explanations for the “why” of everything you are citing when it comes to the pensions and the retroactive formulas, which are used no longer–so you can stop whining about it, because there is nothing you can do about spilt milk–it was all legal. SeeSaw, weren’t you arguing the State Constitution protects CalPERS benefits? And now you’re arguing that some flimsy case law supersedes our State Constitution? You’re correct in your claim that you are not an authority. SeeSaw, the jig is up. People are paying attention. The internet is providing people with instant information. Just read the comment section of any article related to struggling cities or over-taxed citizens. The mood is sour. And most of those people don’t understand (YET) how CalPERS has contributed to their misery. They will and it will happen very soon for a great number reasons. Just wait until the Soccer Moms understand how both the CalPERS & CalSTRS rate increases effect their children’s education. That won’t be pretty. You can forget about class size reductions. The additional pension cost increases will eliminate that thought completely and probably wipe-out all cultural activities/clubs and after-school sports programs. Meanwhile, the world will continue to turn, Captain will continue to cry in his spilt milk, the pensioners in CA will continue to get their checks so that they can sustain, and in the end, we will all die! Glad you support the bullies Toughlove, you just don’t to be bullied, but you like to keep a hit-man on your team when needed. We get to know you a little better now too. Oh and Captain, saying someone doesn’t know something, does not make it true. Put up or shut up. Oh wait, you don’t know anything do you? How is the knee doing with all the knee-jerk reacting? Sure, the employees “purchased” those back (not actually worked) years of service, but didn’t they only pay about 10%-20% of the true value of what they were buying? A “forthright” comment should have included that……more than a minor omission in my opinion. “Bille Says: “Captain – Your Cyber bullying tantrum aside, I will again inform you of your obvious mistakes and errors you seem determined to make public. – O.K. Bille, let’s start with your first ridiculous comment (above). Would you care to prove that erroneous statement? You know, put up or… I look forward to hearing from you. TL, regarding retroactive pension benefits the employees didn’t pay a nickel. My first comment is to just ignore Bille. My second comment is to exchange the word “employee” with “employer” in the above quote. Bille is clueless. – SeeSaw, I don’t arrange for anything. But Why does Vallejo have about a half-dozen public safety employees making about the same compensation as the City Manager? – Now, SeeSaw, you’re sounding like a union rep unhappy with a recent court ruling that allows Charter Cities to ignore Project Labor Agreements, which cost taxpayers an additional 20% on construction projects. I beg to differ with your conclusion that Charter cities are anymore corrupt thn General cities. What do charter cities have to do with the out-of-control escalation of employee Pension & OPEB costs? That’s happening across the board. If you look at Vallejo, Stockton, San Bernardino, and several other cities on the verge of failure the common denominator is, IMO: CalPERS, blue collar cities, union controlled councils, and CalPERS. The Pension Obligation Bonds CalPERS has pushed don’t help, and neither does the CalPERS “Fresh Start” program. Of course, the fall-out from the outlier CalPERS “Fifteen Year Smoothing Policy” is coming home to roost as we speak. CalPERS has done NOTHING to help solve the problem they are instrumental in creating. Captain, the quote you have in your first paragraph was not directed at you. If you look back, you will see that if was a hypothetical quote I made up in response to your continued and absurd charges that CalPERS is union controlled. I was never a union rep when I worked; I only read the list presented as the result of the CB of my reps and voted up or down. In my life after retirement there is no union presence–only my determination to see that you and your hating cohorts get the proper information. Education can work many ways–its not just for everyone except you. CalPERS is an agency created by the State of CA. It simply following the Statutes passed by the State Government and the voters. It is a gatekeeper and investment manager for the funds that flow its way. That is it in a nutshell. More captain, regarding those public safety employees in Vallejo, of whom you are so jealous: I am not privy to any inside details at any public agency and have no way to comment on how much they make. As a simple human being who must pay my bills, and keep a roof over my head, I say I hope they use a little of whatever excess they have to purchase whatever you are selling, because you need to pay your bills too. I would much rather learn about those people than I would about those four poor souls who had no shelter and died in the cold in Silicon Valley. Don’t get me wrong–I don’t advocate corruption. If their gain was illegal, they need to pay it back–if it was according to the rules, they are the fortunate ones. I think Billie might have gotten “air time” mixed up with the pension enhancement formulas that were passed in 1999 and 2001. Air time was a plan that allowed employees to, personally, purchase years of service that they never worked. I never advocated that–the winners there were CalPERS and Wall Street–the taxpayer had nothing to gain or lose from it. But that plan was abolished by the Pension Reform Act of 2013, so you don’t have to worry about that anymore. Going back to the first subject: The State passed a law allowing the individual public entities to adopt the upgraded formulas. It did not automatically give the upgrade to all state employees–in fact, I don’t think that the miscellaneous state employers were ever granted a 3% formula. Many local agencies adopted it and many did not. Its Collective Bargaining–something that works much better for the American people than the “firing squad”, ala N. Korea. Captain, I believe you are correct. (that the retroactive pension increases were without cost to the workers). My mistake. I was thinking of the”air-time” (i.e.,extra service years) often bought by Public Sector workers at a huge discount from the true cost). TLOVE– Refreshing to see you admit it when you’re wrong as u are on here often. Good on ya! There is a lot of re hash of nothing out here which is why I rarely post. The pension reforms, tweaks, good lawsuits, the occasional odd bk case, and improving economy will resolve all of this in time—but the envy will remain— aimed towards those who planned for the future wisely. Mr. Tourkensen Says: ….Please enlighten me where I have been wrong (and not admitted it)….love to debate it. Material changes MUST apply to the future service of CURRENT (not just NEW) workers, and we rarely see anything that impacts current workers even minimally let alone to the large extent needed. And as to having planned wisely, unfortunately with many Public Sector plans bound to fail (because it’s essentially a MATH problem) and pay far less than promised, the “wise” Public Sector worker should indeed save OUTSIDE that generous promised pension…they’re gonna need it. “debating” you is like debating a washing machine on an endless cycle of repeat misinformation—sorry! That sounds like the reply of someone who has little in the way of real facts to support their position. or a guy tired of the nonsense. No Mr. Tourkensen Says: ,your afraid of the truth …. that the grossly excessive pensions promised you by elected officials bought-off with Union campaign contributions and election support were NEVER affordable, necessary, or likely to EVER be properly funded and fully paid. Is that what you call a gatekeeper? I don’t think so! Keep up the good work seesaw – your polling numbers are dropping. All of the rules are determined by the State and all the member entities must follow those rules–CalPERS just administers those rules. It has stated in its own words that it is simply a gatekeeper for funds that are deposited with it. It is an arm of the state–the state is not going to allow its cities and counties to break the laws that it has set down for their respective memberships in the CalPERS plan. I really don’t have to explain anything to you–I am not an administrator of CalPERS or a, current, union member–just a former rank and file worker who earned what I get, according the rules I was presented. You are tired of the nonsense? Well I am tired of your obvious envy–why don’t you do something productive, yourself, instead of spending all your waking hours pouring over details of a Plan that you evidently have not been able to join. – Umm, no seesaw. CalPERS has created most of the problems. – I know that is a lie. – the issue is less about my envy and more about what is fair, or just. If you need 65-70 percent of your working wages during retirement (currently age 65 for most) why are taxpayers paying 90-100 percent of wages for people that retire as early as 50, or 55, with 30 years of service? Can you answer that question directly without boring me with your faux little old lady routine? In the meantime the polling numbers are showing a significant decrease in public employee union approval ratings. Captain– I know you’re frustrated, it shows with most of your posts, but it will all work out in the end amigo. Calpers has done a 100 year job of building, protecting and supporting workers families– pretty good I’d say. You and your 3 pals ought to take a deep breath, reform will sort most of your worries out and over time, like has always been the case as new tiers get added the now almost 380 billion dollar fund will continue to make a better life for so many workers, who….as you probably know, deserve to realize the promises made, and promises kept. May God Bless you in this Christmas season! I got 96 percent of my modest, gross salary Captain–45% of my take home pension check goes to medical insurance premiums. I am not living in gravy-city. You are so funny–what is a faux, little old lady, routine? “CalPERS is Cooked”! Your brain is swollen with opinions, but no facts–is that what you consider your, “big tough-guy routine”? Whoa, Mr. Tourk–don’t get that carried away. The fund is about 275 billion at present. Otherwise, I will echo your Christmas wishes. Correction: “CalPERS is Crooked”. You probably consider it cooked too. What are you paying for, Captain? Sixty-four cents of every CalPERS dollar comes from the investment earnings and the rest comes from the accounts set up during the retiree’s active years, with money that they earned while they were providing the public with services–so sorry, I don’t visualize your money there. If your own money is there, so is the money of every other person that is retired. If those pensions didn’t exist, how much extra would be in your pocket–can you answer a question such as that directly, without any “Wo is me, taxpayer routine”? Good Point SeeSaw! 273.6 billion as of today!